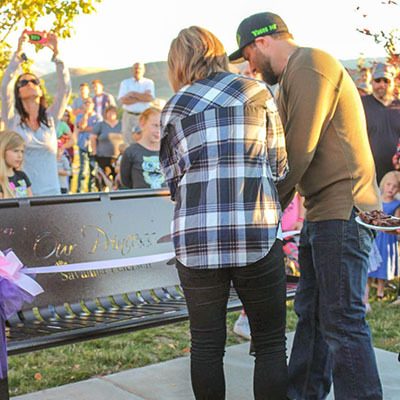 The memorial park bench is a special way to commemorate a loved one that has passed. It can become a place of remembrance and contemplation; a way to keep their memory alive for you and the community. 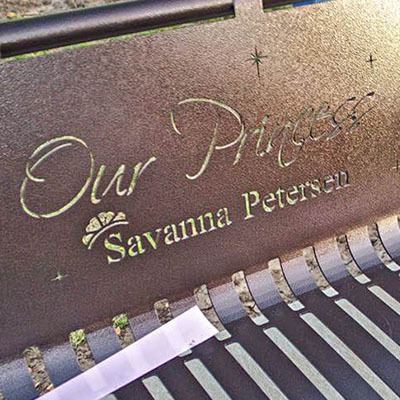 Each park bench is available with fully personable designs including: inscriptions, portraits, sceneries, and more. 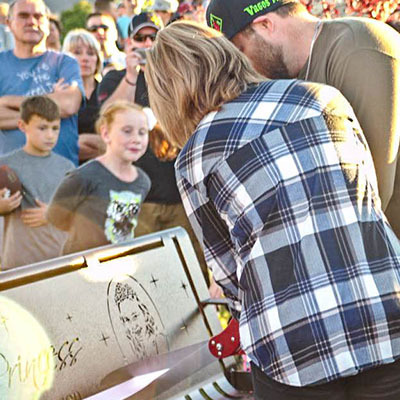 To get started on your memorial bench, give us a call at (801) 414-1724, or keep scrolling to learn more about ‘Our Princess’ Bench. 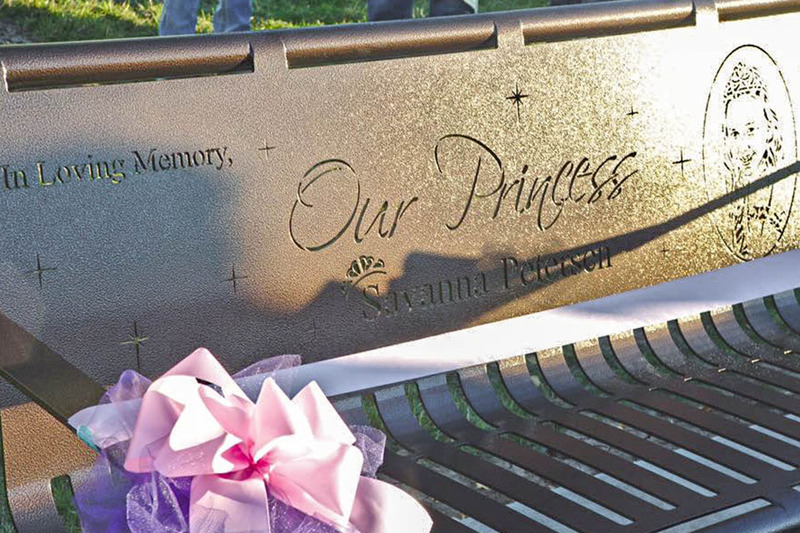 Each memorial park bench is available with custom design options. Be sure to send us any images, sceneries, landscapes, and inscriptions that you would like to include in the bench design. 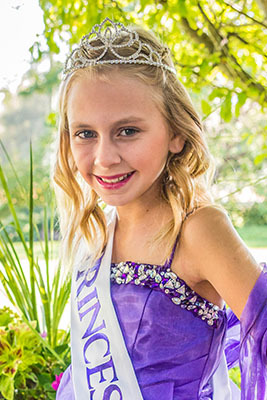 Be sure to email us any photos that you would like included on the memorial bench. 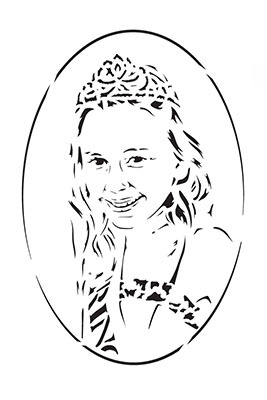 Our talented artists are capable of using the images to create a likeness that is capable of being laser cut. We create a realistic mockup that shows how the finished park bench will look. It will be emailed to you for final approval before we begin the manufacturing process of the metal bench. The bench is cut from a single sheet of metal that is then bent into shape. It is then welded, sandblasted, primed, and powder coated. Lastly, the bench is packaged up and sent to you. Not only does the memorial bench help aid in healing, it also ensures that their memory lives on in others. Each memorial park bench tells a story and provides a place for the community to go for remembrance. Every bench we produce touches our heart. We feel honored that you are willing to share part of your loved one’s story with us. Thank you for taking the time learn about our company. Let us know if there is anything we can do for you! Each bench is coated with a fine powder that is then baked at 400 degrees. This process creates a smooth, durable finish that is resistant to rust and corrosion. It is available in a large variety of colors. Durable steel, closed welds, stainless steel, and powder coat make the bench long-lasting. Laser cutting allows for extreme precision and detailed cuts. 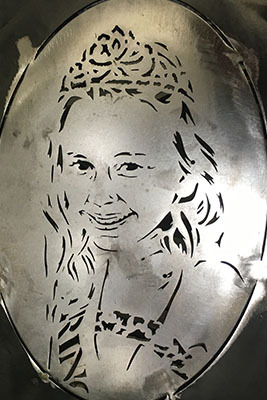 This allows our design team to add portraits, calligraphy, and more into the back of the metal bench. 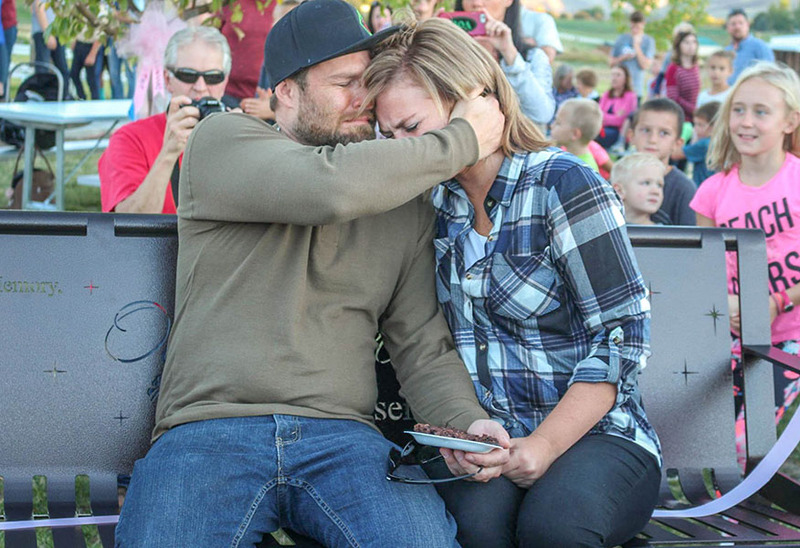 Family, friends, and community members gathered to witness the memorial bench unveiling. 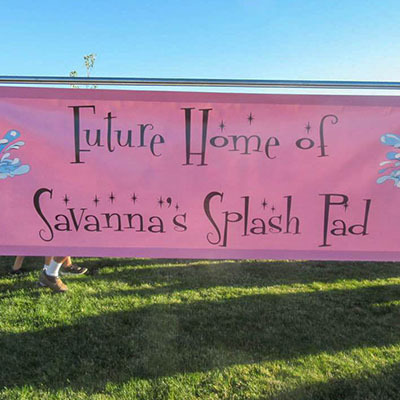 Savanna’s bench was placed near a splash pad that will be opening in her honor. This will be the perfect spot to share stories, mourn, smile, and remember.